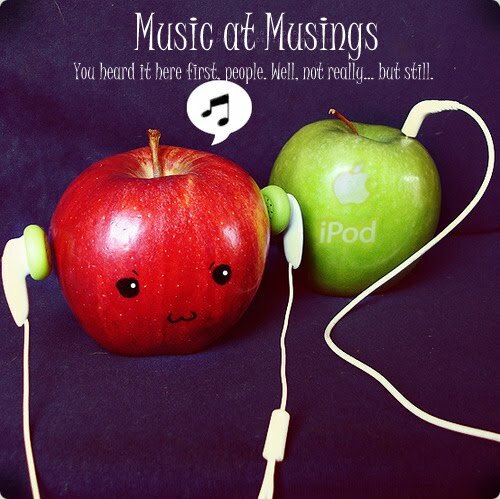 Hello, and welcome to Music at Musings! 'applause and sounds of fainting from audience' Yes, it is me! And look, I have three new followers! That brings me to thirty-two! I've hit the thirties! Hooray! Thanks everybody! Let's roll! The way Coco sings and acts is so ethereal, so graceful... I think I act like that sometimes. At least I try. And the song is really catchy, and I just love it! This is easily one of my favourite songs from Nothing Personal, in the same thread as Sick Little Games. I love the first verse... 'Manage me, I'm a mess, turn a page, I'm a book half unread, I want to be laughed at, laughed with, just because, I want to feel weightless, cause that should be enough...' Awesome. My opinion of Kaiser Chiefs really depends on the songs. Some I like, and some I don't. This is one of the best. Sing-along choruses are so much fun! Remember my Charlie McDonnell post two days ago? Of course you do! Well, I forgot to tell you he's in a band, called Sons of Admirals. The name comes from an Elizabethan acting troupe called the Admiral's Men, which were second only to the Chamberlain's Men, Shakespeare's troupe. The Admiral's Men all had jobs and careers outside of acting, but still got together often to put on plays. Sons of Admirals, Charlie McDonnell, Alex Day (I'll have a post up on him soon! ), Tom Milsom and Eddplant, all have individual careers outside the band as fantastic YouTube musicians, but have put their talents together and covered Here Comes My Baby by Cat Stevens, and this the result! Personally, I think it's excellent. Watch it to the very end! One of the many things I'd like to be when I grow up leave school is a music supervisor, and choose the soundtracks for movies. I do it all the time in my head. For this song, I would imagine the heroine fleeing an unresolved fight with the one she loves, cutting to her walking through the streets of a carnival, the carnival being oblivious to her pain. Either something like that, or she goes to a Sum 41 concert. And that's it for Music at Musings today! Stay safe people, and y'all come back now! Or something. I like I Blame Coco.. She looks like that girl from Amelie. I think anyway! I love Alex Day.. His Twilight videos.. Only community channel makes me laugh that hard!